Saved Sessions allow you to save a group of tabs that you want to re-open later. These Sessions can also be renamed to help you stay organized as you start working with many different Sessions. 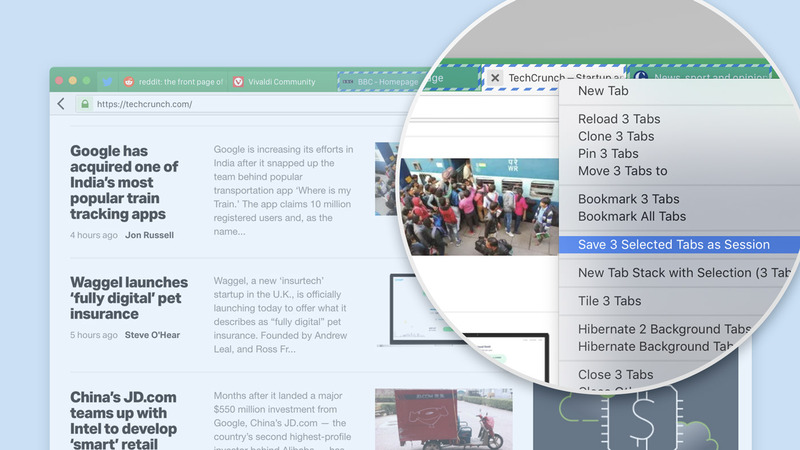 With this update, you can now create a new Saved Session from any group of tabs that you choose. First, select the tabs you’d like to include using Ctrl/⌘/Shift. Right-click any of the highlighted tabs to open the context menu. And finally, select “Save Selected Tabs as Session” to create your new Saved Session. The first 9 tabs in the Window menu are numbered for quick tab-switching. Press Alt+w to open the window menu, and then simply type the number of the desired tab to make the switch. Access Keys let you access important functionality of a web page via keyboard shortcuts. A site can define these shortcuts for easy access from the browser using Access Key shortcuts (Alt + Shift + [key defined by site]). For example, when viewing an article on Wikipedia you can use Access Keys if you find yourself using Wikipedia often, a quick search in Quick Commands when viewing an article will reveal a list of the Access Key shortcuts to interact with the site (e.g. “Edit this page” or “Search Wikipedia”). Today’s update makes it easier to discover the shortcuts available for any site. While viewing the site, launch Quick Commands ( F2 / ⌘E) and start typing „Show Webpage Access Key Shortcuts”; when the option appears, select it and a list of the available Access Keys will open in a window. You can also create a custom Keyboard Shortcut in Vivaldi to quickly open this list. The Address toolbar also gained a powerful new feature. Long-click on one of the history navigation buttons (e.g. Back or Forward) to bring up the sub-menu, then middle-click an entry to open it in a new tab. No other browser makes it so easy for you to travel quickly through your timeline, without the need to leave the page you are currently viewing. There are numerous ways to search the web in Vivaldi; the Search Field, Address Field, from Quick Commands and now – directly from your Speed Dials. Many users are used to having a Start Page with a search bar, so we have added this as well. This is on by default but can be hidden if that’s your preference (head to Settings → Search to adjust). Previously, you could access a closed tab via Quick Commands by typing parts of its title; allowing you to find and switch to it. Now you can also pull up a list of all recently closed tabs by simply typing „Show Closed Tabs” and hitting Enter. 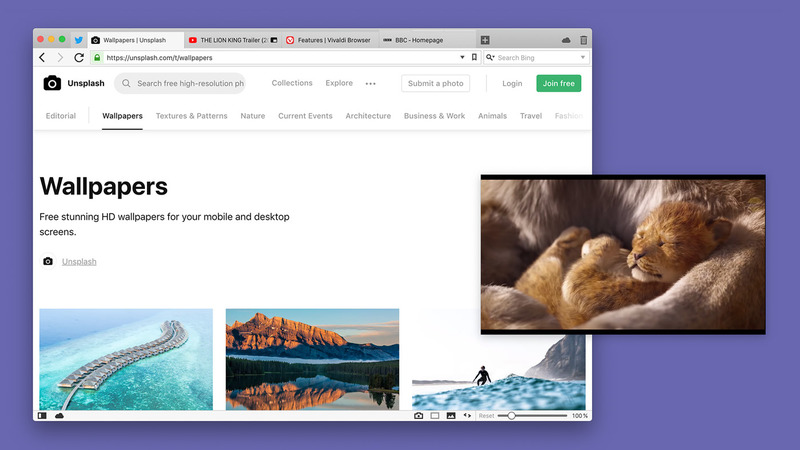 You can now watch HTML5videos in a floating window popup while continuing to browse as normal. Right-click on a video to reveal a context menu. You can now select „Picture-in-Picture”. For certain sites like YouTube, this is not yet possible via the custom context menu, but works with a double right-click. You can now easily control the sound of tabs playing media by muting all but the current tab. Previously, only Keyboard Shortcuts and Quick Commands could be used to mute foreground tabs. Now with a right-click on any background tab and select “Mute Other Tabs”, all other tabs can be muted in an instant. This update brings a cheer for Linux fans. You can now watch Netflix, Prime Video, etc. 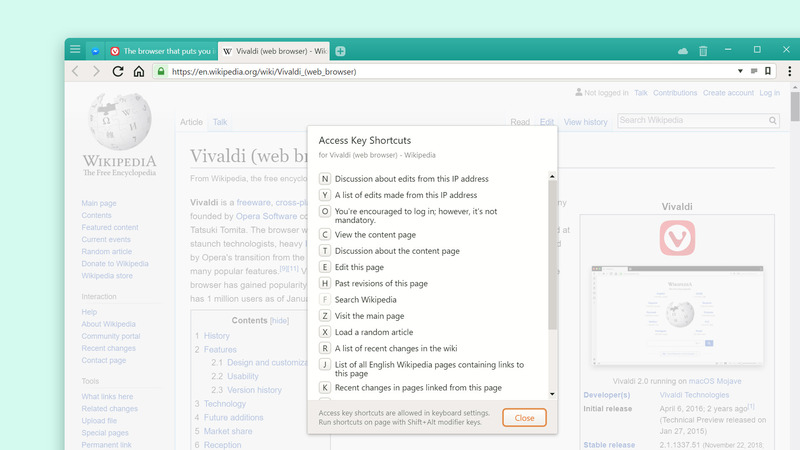 as Vivaldi will now automatically fetch Widevine (Encrypted Media Extensions). Our users have been frequently requesting for more configurable toolbars. With this update, we’re taking a big step in toolbar customization. This is just the tip of the iceberg, of course; stay tuned for more in future updates. We know that our users like to tweak and tune the browser according to their preferences. Now you can adjust the Address and Status bar as per your liking by removing infrequently used buttons. Buttons are removed via a new “Customize” context menu entry, which is opened by right-clicking any button on the toolbar. Toolbars can also be reset to their default appearance from this menu. If all buttons are removed, another reset mechanism can be found under Settings → Appearance. 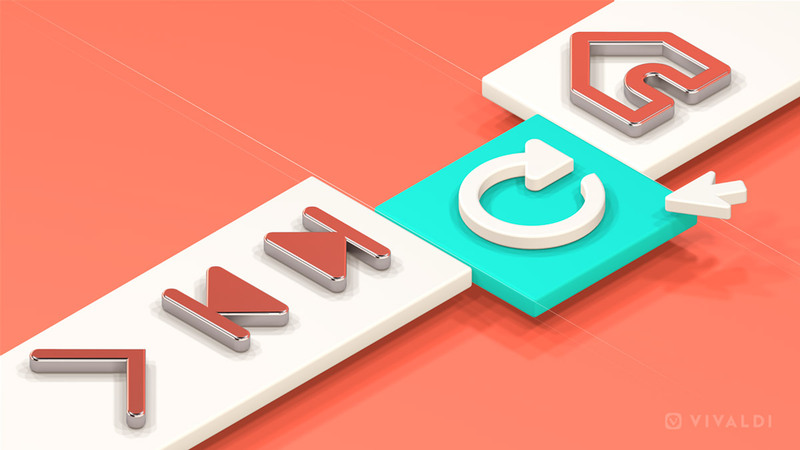 Customizing a browser to your needs is not just for pros and geeks. 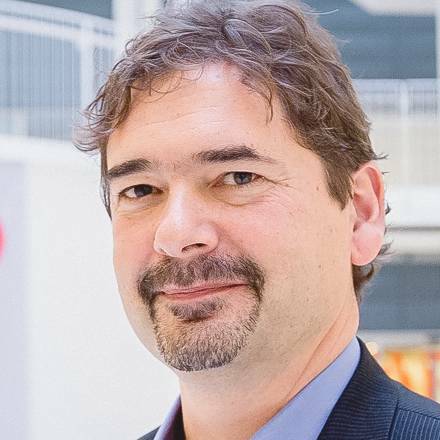 For any user, the key is being able to create something that works for you. That’s why at Vivaldi, we strive to make a browser that fits every use case and gives you options. As this is the last update of 2018, we would like to thank you for your constant feedback that helps us build Vivaldi. For more details on this update, you can see the changelog below. And do send us your feedback on our new version. Enjoy!